WANT TO KNOW IF YOUR COMPANY IS CUTTING EDGE FOR DIGITAL HEALTH? 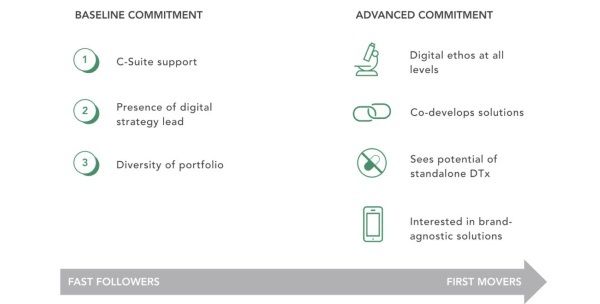 Rock Health and ZS Associates created a handy chart to show pharma companies if they are "fast followers" or "first movers" in digital therapeutics (if you're not on the chart presumably your firm is a laggard -Ed. ).